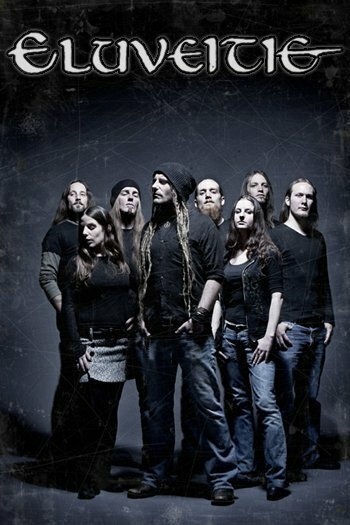 Metal Messenger - Metal & Hard Rock News: ELUVEITIE: Entire "Helvetios" Album to be Performed During North American Tour! ELUVEITIE: Entire "Helvetios" Album to be Performed During North American Tour! "We cannot wait to be back in North America in support of our two latest releases, for the first time headlining with material from our recent concept album! To celebrate this occasion, we have decided to treat our North American fans to a very special show. One that we in fact have only performed once before. Besides a selection of our all-time hits, we will be playing the full album Helvetios from beginning to end, live on stage, every night!" Tickets are going fast so make sure you get yours in time! Purchase links can be found in the touring section on eluveitie.ch. Also included on the bill are Finnish epic metallers WINTERSUN (who just celebrated worldwide charts success with their long-awaited release Time I) and the German Folk Metal heroes from VARG.